Arlington, Virginia. June 24, 2014 – ATK has received a contract from Lockheed Martin Space Systems to provide the UltraFlex solar arrays for NASA’s InSight Lander mission, which will place a lander on Mars in 2016. The UltraFlex design successfully passed critical design review in February 2014. ATK is now fabricating the InSight arrays for testing later this year and delivery in 2015. The design is based on the array that powered the successful Mars Phoenix Lander in 2008. Similar versions of the UltraFlex design are being used for Orbital Science’s Commercial Resupply System (CRS) spacecraft. The first of many CRS UltraFlex arrays are planned to be flown later this year on CRS. A larger, higher-power evolution of UltraFlex, called MegaFlex, has recently completed development testing at NASA’s Plum Brook Station. MegaFlex was designed for high-power spacecraft such as those using future solar electric propulsion systems being developed by NASA for deep space exploration missions, including the Asteroid Redirect Mission. 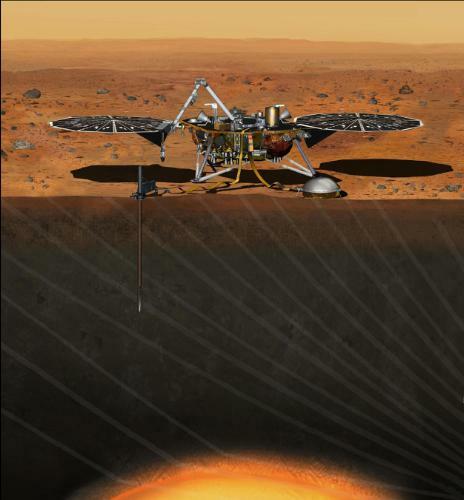 InSight, an abbreviation for Interior Exploration using Seismic Investigations, Geodesy and Heat Transport, will study the red planet’s deep interior. Scientists hope to gain a better understanding of the processes that shaped the rocky planets of the inner solar system, including Earth, more than four billion years ago. InSight is managed by the Jet Propulsion Laboratory, California Institute of Technology, for NASA’s Science Mission Directorate. Lockheed Martin will build and operate the spacecraft.